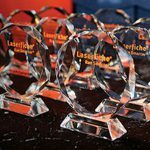 Laserfiche has announced the winners of its annual Run Smarter® Awards program, including five North American cities and counties. Eaton County, MI, a Laserfiche customer since 1995, integrated Laserfiche with its general ledger and accounts payable system to streamline billing processes and expedite vendor payments. As a result, the county saves $70,000 in labor costs and more than 4,500 hours in staff time annually. 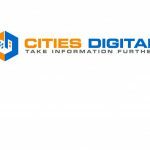 “Laserfiche is the most important technology deployed in the county to transform business processes,” said Dr. Robert Sobie, Director of Information Systems at Eaton County. Gunnison County, CO, used Laserfiche to streamline the contract and agenda management processes, which can be two of the most laborious and paper-intensive processes for government organizations. This initiative has reduced processing time by three days and made the approval process more transparent. The City of Thousand Oaks, CA, uses Laserfiche to maintain high standards of quality and customer service while expediting and streamlining agenda packet compilation. As a result, it has reduced printing by 35% and saved staff time. Tompkins County, NY, uses Laserfiche to grant 29 county departments and 18 municipal partners—including the City of Ithaca—secure access to public documents.